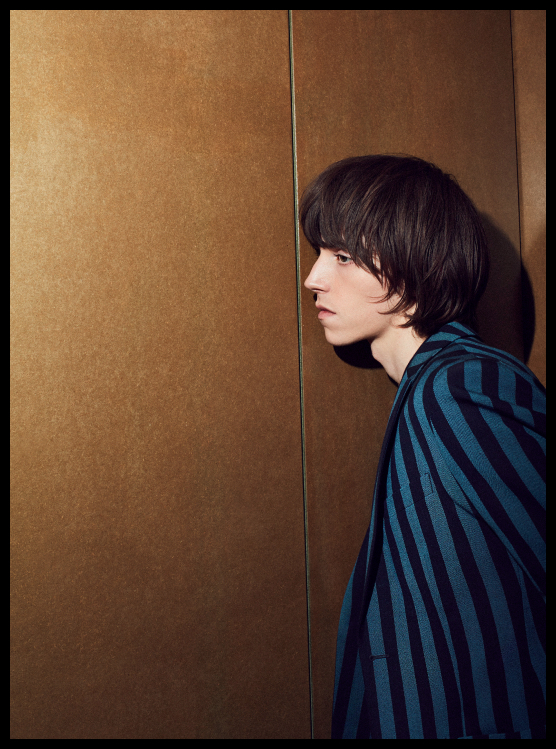 Take a look behind the making of our boating stripe blazer, produced in the iconic British manufacturer’s Marton Mills. 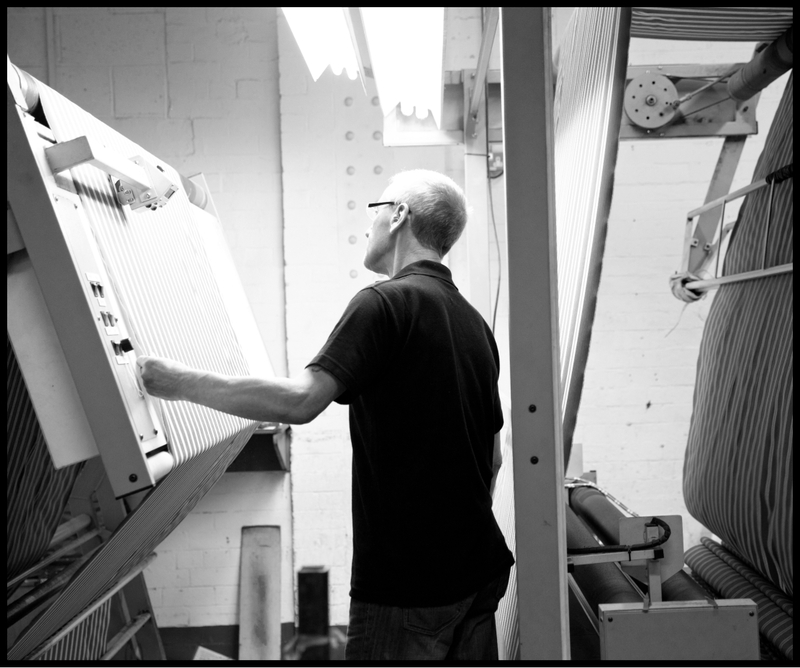 In order to allow for a seamless process Marton Mills hold popular shades in stock. The specially selected coloured yarns can then be prepared to be woven into a seasonal stripe design. 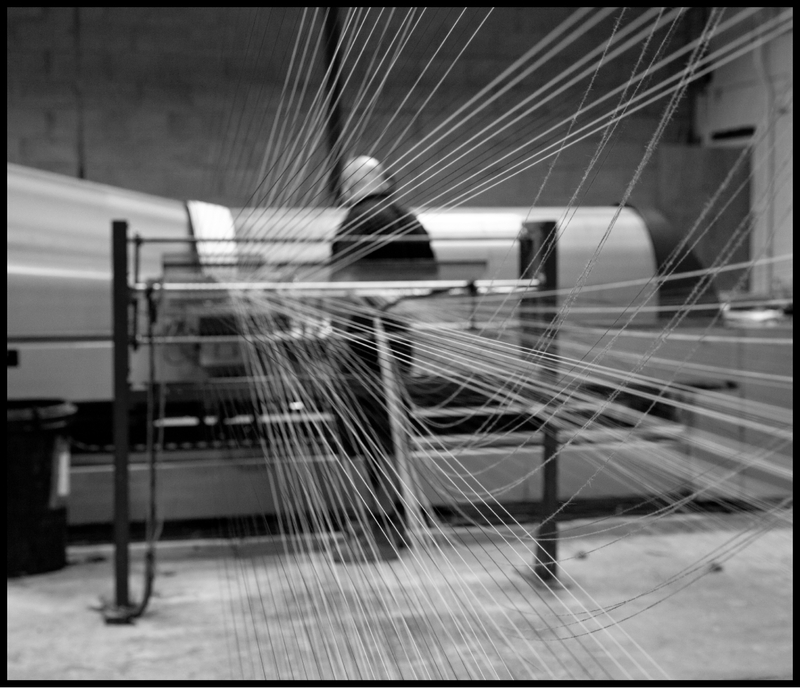 The first step is creating the warp - the vertical threads running through the fabric using specialist machinery. 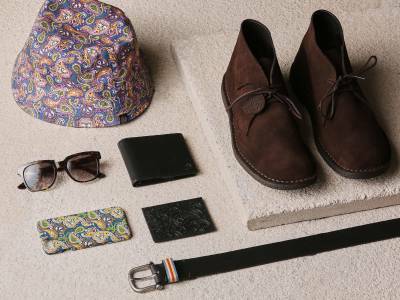 The selected shades are placed into a creel in specific order to create the correct pattern. 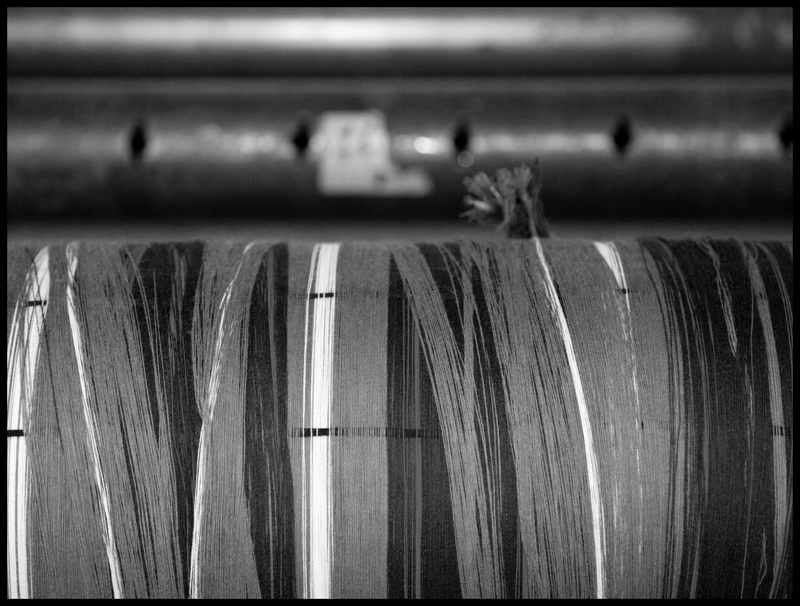 The yarn then travels through eyelets and is fed onto a VTA Warping Machine used to create large runs. A seperate machine is used for small bespoke lengths. 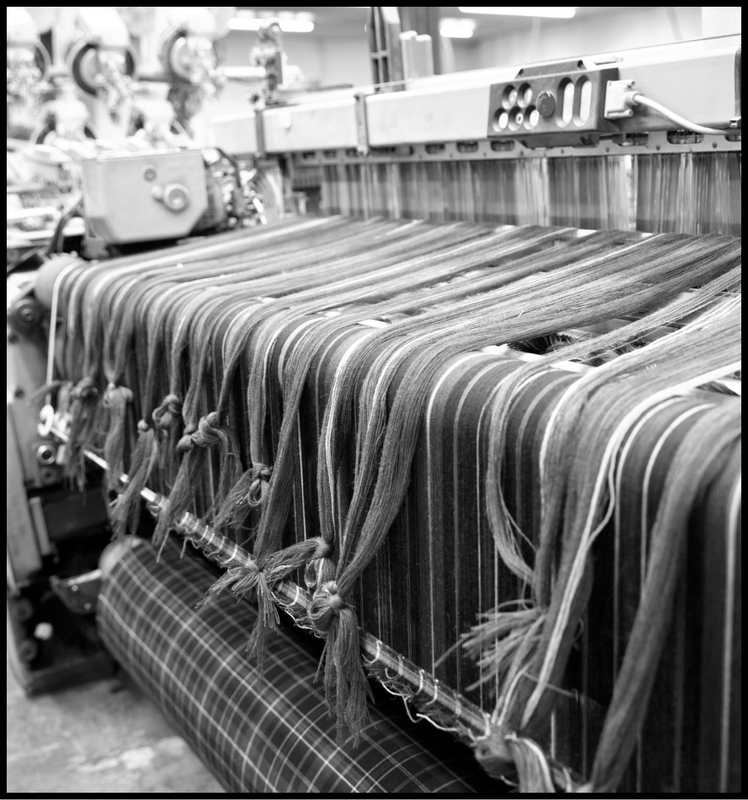 Once the warp is produced it is then transferred from the VTA onto a beam that is lifted into a loom for the weaving process to begin. 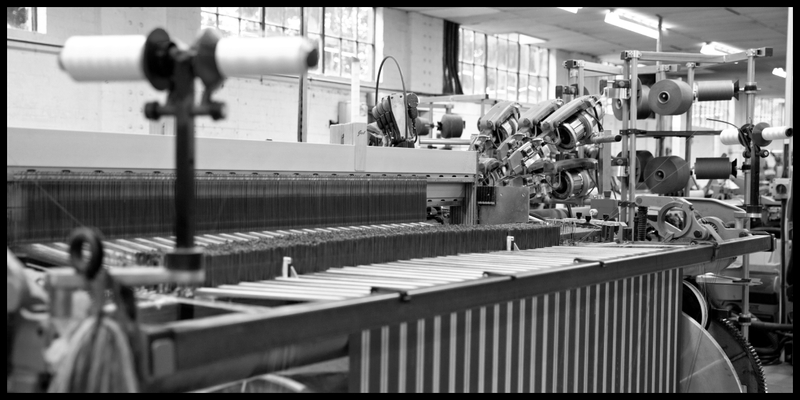 For every different quality of fabric Marton Mills produces, the loom has its own unique set of weaving instructions. In order to ensure maxiumum efficiency similar jobs are planned in consecutively so that the loom does not need to be reprogrammed. Each individual end of the new design then needs to be attached to each individual end of the old design in the correct order so it can be pulled through eyelets, shafts and reed ready for weaving. 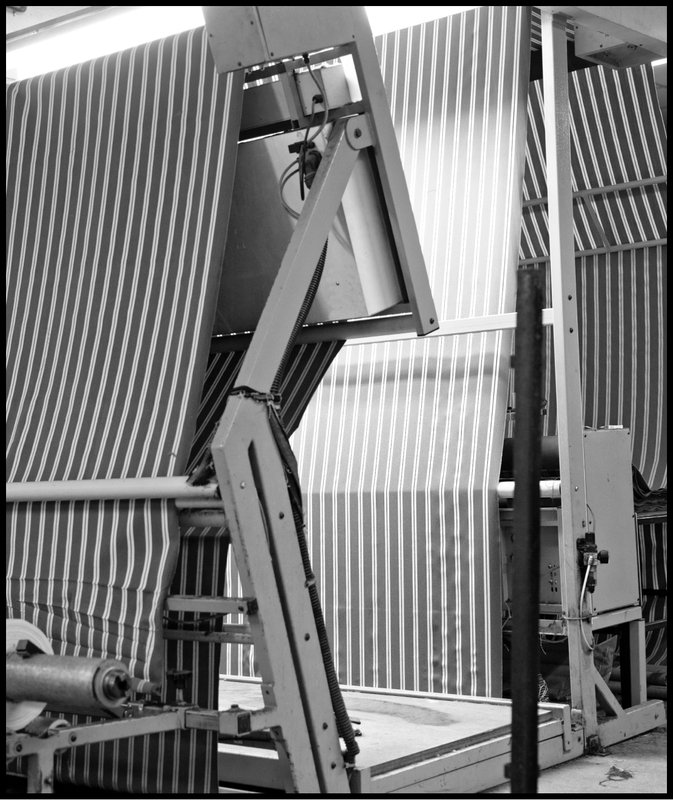 Here, the loom is programed to lift shafts in a certain order to create a shed that the weft yarn can sit between. 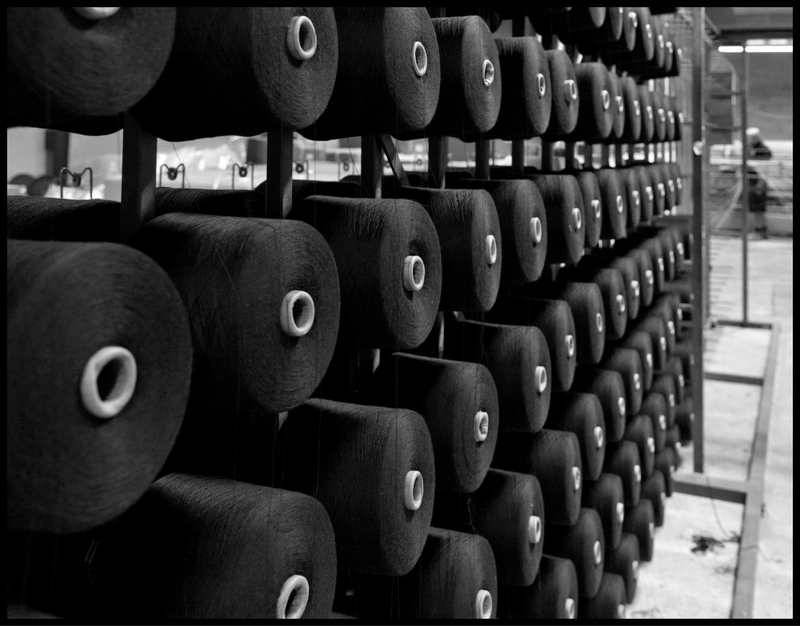 Once woven, the cloth is inspected to ensure any faults are highlighted so that they can be corrected where appropriate ensuring the highest standard. 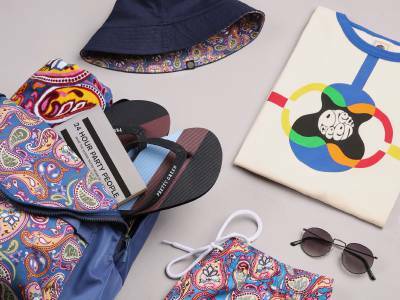 The fabric is sent out to the Finishing House, to be washed, scoured and pressed in order to achieve the luxurious desired handle and appearence. 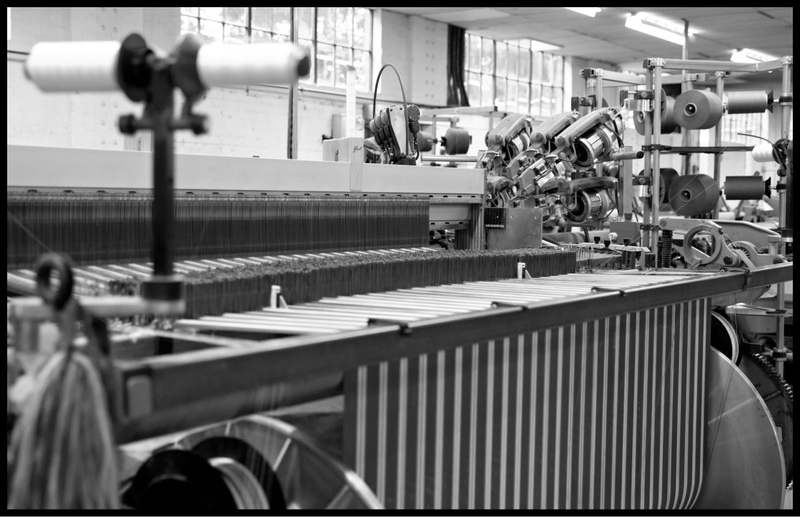 The finished cloth is then returned back to Marton Mills where it is inspected for a second time and undergoes rigorous quality control measures. 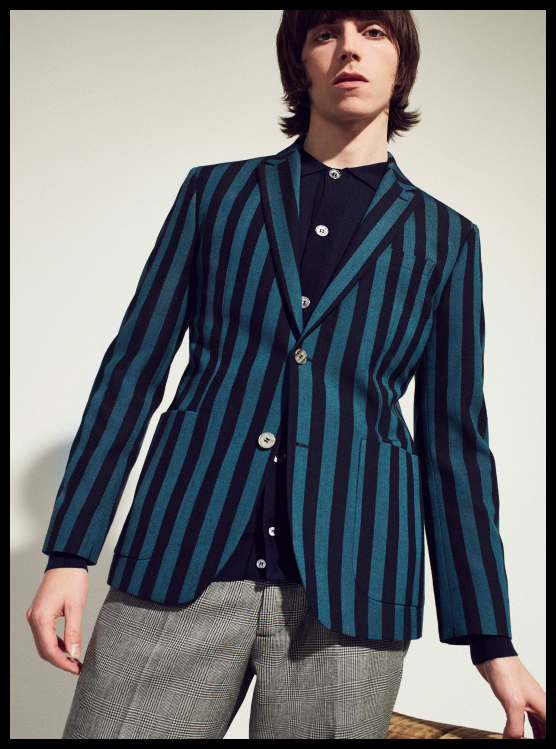 This season the Marton Mills fabric features on our Boating Stripe Blazer and is a true British classic.